The consumer finance industry has faced a number of challenges over the past decade. Payment systems are evolving at a rapid rate, and so are consumer expectations. Where APR was once the most important consideration for most credit shoppers, now consumers look at a range of differentiators ranging from payment options to rewards packages. The same is true for any financing option. From car loans to in-house financing for a major purchase, consumers don’t just stop at the cost of the loan. The more payment options available to a borrower, the more likely they are to stay current and in good standing on a loan. 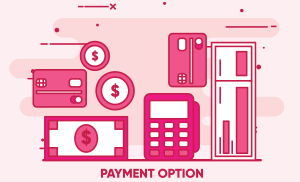 Here are some of the most common options, along with a few developing payment systems that may be major market disruptors in the near future. Credit card terminals offer an excellent way of accepting payments at a brick-and-mortar location. Most terminals function for credit cards, debit cards and even mobile payments. Allowing a customer to process an ACH transaction to make a finance payment gives them the option to directly debit the funds from their checking account on a pre-scheduled day. This flexibility allows consumers to more directly control when payments affect their cash flow. For busy, on-the-go consumers, having the ability to make a mobile payment while out and about is crucial. Some consumers need the ability to free up credit on the go, while others don’t have much time to fill out payment coupons and mail a check. While many consumers want faster payment processing, some prefer traditional payment methods. Writing a check gives consumers the option to delay payments and more easily reconcile their accounts. Lockbox services streamline payment processing to improve cash flow for finance companies. When checks are still a significant source of revenue, adding lockbox service is a great way to improve the speed of each transaction. It is often easier, for both the financial organization and the consumer, to set up automatic payments. These payments process on a specific day each month and automatically deduct funds from a linked checking or savings account. The convenience of automatic payments allows consumers to set it up and forget it. Plus, guaranteeing payments with automatic deductions is a great way to avoid past due accounts. For missed or late payments, it is important to offer a payment option that posts quickly. Phone payments can be processed instantly, and don’t require any crossover in the mail. When a borrower realizes they have missed the payment window, offering them multiple ways to make a payment can help avoid aging accounts receivable. While payments using cryptocurrency are still rare, the finance industry is heavily invested in creating a system that will take advantage of the low costs associated with this method. Blockchain technology processes are significantly less expensive to run, though the market is not yet mature enough for the finance industry. Until regulations catch up to this new technology, cryptocurrencies are likely to remain a more attractive option for peer-to-peer payments. These are just some of the payment methods that a processing company can offer to a consumer finance company. Borrowers want as many options as possible, and it is in the best interest of the lender to meet that expectation.